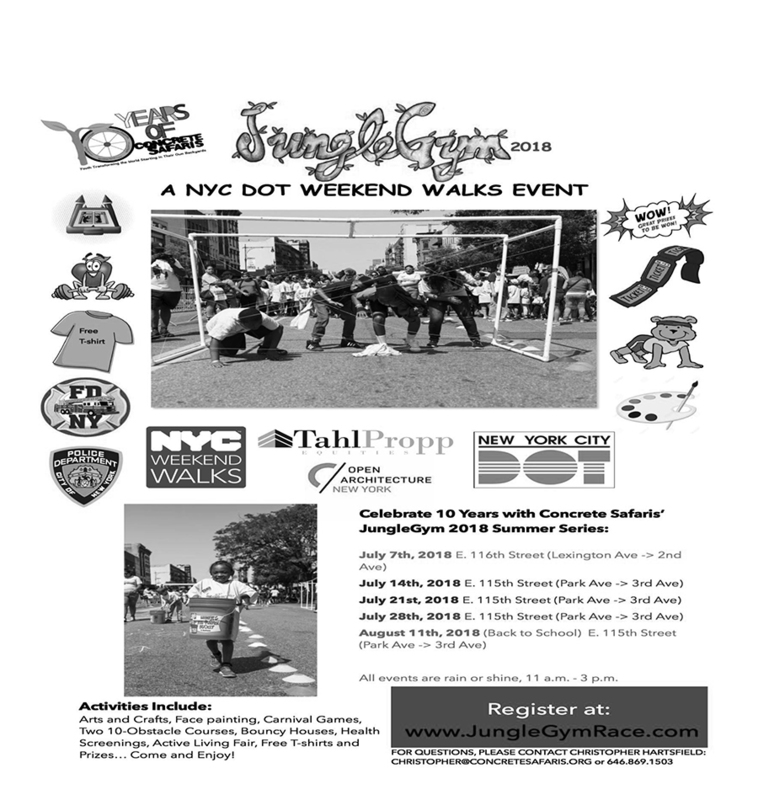 Concrete Safaris’ JungleGym 2018, a NYC DOT Weekend Walks event sponsored by Tahl Propp Equities, is a 1-block run through a 20-obstacle challenge for children and their families, and an active living fair. The event is designed by the 7-12-year-olds in Concrete Safaris’ City Surfers after school program and led by 14-24-year-old youth in Outdoor Leadership Academy internship program. Children (ages 5+), teens, and adults will have the opportunity to race as they hop, leap, crawl, and wiggle through 20+ obstacles designed by Concrete Safaris’ students in the organization’s sixth annual JungleGym obstacle race and 10th birthday party. 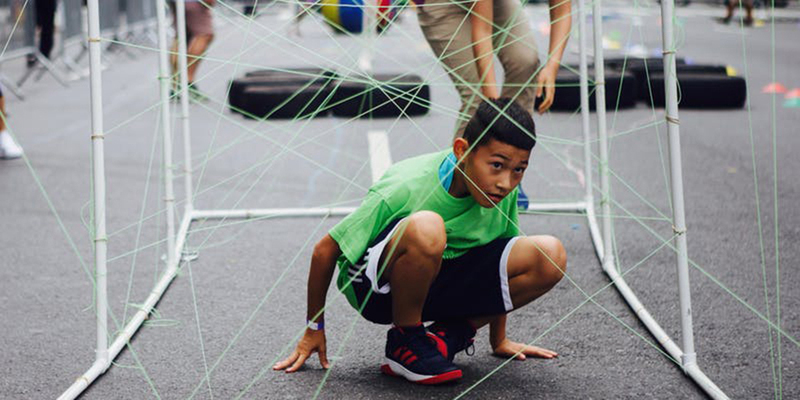 JungleGym2018 Summer Series will take place on July 7 (116th Street and Lexington Avenue); July 14, July 21, July 28, and August 11th at 115th Street and Park Avenue. Read more about the activities and Register Here. Would you like to Volunteer? Register Here.